Johnson Mechanical Service is proud to serve the Portland community! 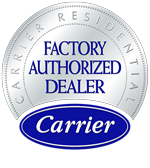 About Portland, IN - Happy to be your hometown Heating & Air Conditioning Contractor! Located in Jay County, Indiana, Portland serves as the county seat and is home to about 6,300 residents. Name after Portland, Maine, this city is located near other small communities of Dunkirk, Fort Recovery, and Geneva. 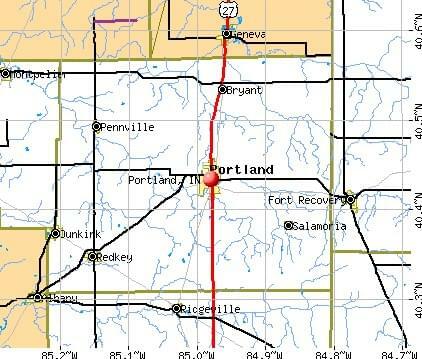 Portland is about 95 miles northeast of Indianapolis and 75 miles northwest of Dayton, Ohio. There are a variety of things to see and do in Jay County, particularly in Portland. Visitors can enjoy the numerous historical attractions found in the community, including the Bowstring Truss Bridge, the Civil War Grave, and the Historic District. In terms of arts and cultural venues, the Museum of the Soldier, Jay County Civic Theatre, and Ritz Theatre are all located in Portland. Sports fans also have a variety of destinations that may be of interest in this growing city, including the Portland Golf Club, Patriot Fitness, the Jay County Archery Club, and a trip to Runkle-Miller Field to check out a Portland Rockets game. Whether you live in Portland or are just passing through, proper climate controls are a necessity. Winters are cold with moderate snowfall, and total accumulation reaches about 24 inches annually. Average daily highs during January reach the mid-30s, but overnight lows can fall into the 20s. Some evenings even see sub-zero temperatures, so it is crucial that residents invest in a reliable furnace. Summers in Portland are a great time for residents to enjoy the ample outdoor activities, but it is important that they are prepared for severe weather. July is the hottest month of the year, and average daily highs can reach well into the 80s.The area is also known for its high humidity, which can make conditions feel even more uncomfortable. The right air conditioner will keep residents cool, and an Energy Star system can also help to keep utility costs affordable throughout the season.